The Live Piano Experience Duelling Piano Show brings you the most unique wedding entertainment. Featuring world class piano/vocalists, awesome drummers and hi-tech equipment, Duelling Pianos has all the power of any live party band. Bringing you MORE music, LIVE BY REQUEST, the Duelling Pianos get your guests on their feet, singing and partying. Plus with our FREE DJ service included you need look no further for party of a lifetime. 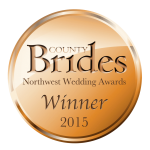 Voted by our satisfied customers as the Best Wedding Entertainment act for 2015 at the County Brides annual wedding awards. We use only the best performers all with years of experience all around the world. This guarantees quality and reliability in our performance. Our elegant white baby grand pianos are integral to our look. We think at your wedding you want a professional look. Our pianos look great on a stage or in your lovely dressed wedding venue. We use only the best drummers. We like them powerful and funky and a fantastic compliment to our high energy dynamic show. We bring you MORE live music to keep your guests partying on the dance floor with our massive repertoire including rock n roll, pop, rock, dance music, disco, sing alongs, indie, current chart hits – something for everyone! So we know what it is going to get your guests on their feet. With our huge reperoire we can play hundreds of songs LIVE. For what we can’t play – we have the full request DJ too! We have fully PAT tested and public liabilty insured equipment suitable for most wedding venues (upt 250 people) including awesome sound system, stage and dancefloor lighting FREE. With our industry partners we can provide enhanced set ups to suit any venue including dance floors, backdrops ask for quotes for add-on packages. With so much LIVE music there we don’t want you to have to pay extra for a DJ so we provide it for free. Using state of the art Dj equipment providing an almost unlimited track selection we will keep the party going between LIVE sets and to the end of the night! What could be more romantic that having someone sing your first dance especially for you. No playback, no recordings, just a unique one time only performance of your special song. Plus, as it is LIVE we can host the moment for you too, inviting your guests up at exactly the right moment. We also host your cake cutting and all other special moments in your night such as father/daughter dances and special dedications. To book for a corporate event, click here.